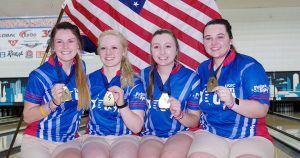 For the first time since 2012, the Junior Team USA girls claimed the coveted team gold medal at the World Bowling Youth Championships, while the boys from Qatar returned to the top of the medal stand as a team for the first time in three decades. 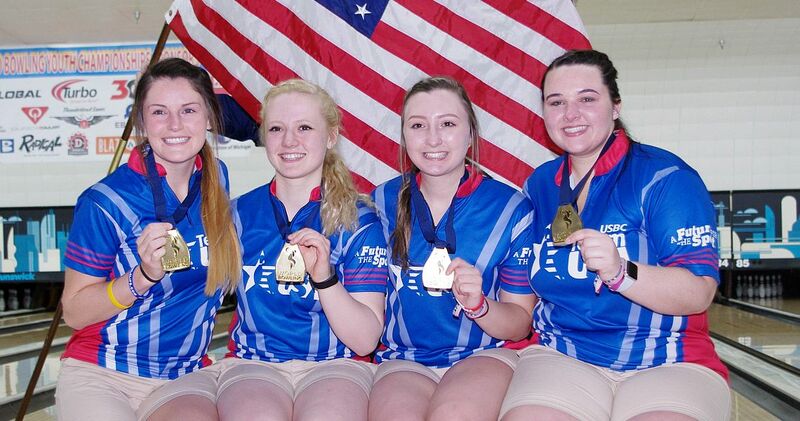 The girls team final Thursday at Thunderbowl Lanes in Allen Park, Michigan, was a rematch of the 2016 title tilt between Korea and the United States, and it gave Junior Team USA a chance at redemption on its home turf. The opportunity was not wasted, as the Junior Team USA girls (left) battled back from an opening-game loss and won the match, 2-1, by scores of 180-205, 214-181 and 230-175 in the modified Baker format. 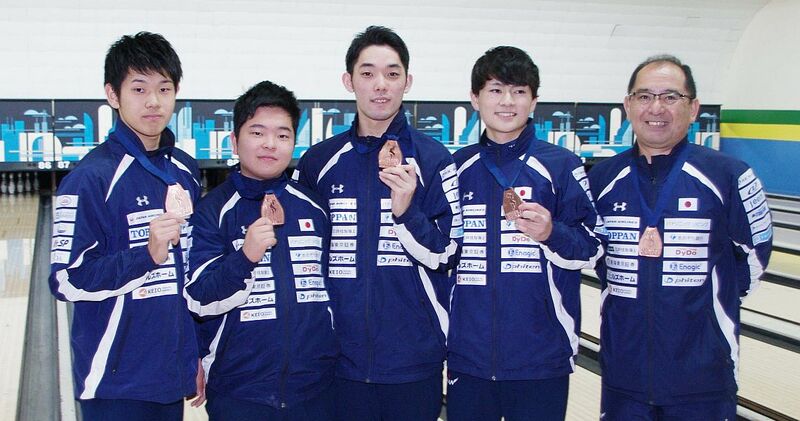 Junior Team USA jumped out to an early lead in the opener, before a missed single pin in the sixth frame and back-to-back splits to end the game, gave the defending champions (right) the advantage and momentum. 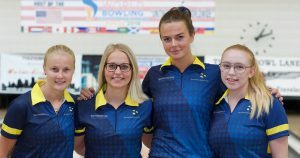 After starting the second game with a 7-10 split, the Junior Team USA girls rallied with four consecutive strikes, stole the momentum and never looked back. 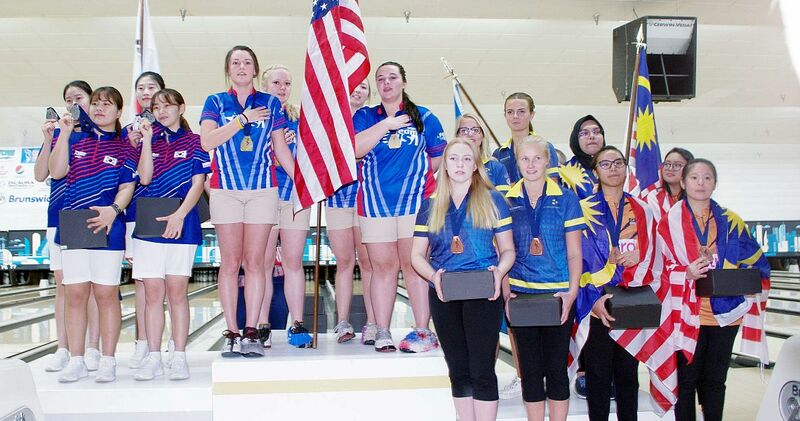 The team’s roster included Taylor Bailey of Joliet, Illinois, Breanna Clemmer of Clover, South Carolina, Mabel Cummins of Elburn, Illinois, and Caitlyn Johnson of Rockwell, North Carolina. 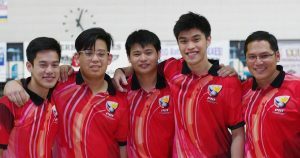 All four competed in the World Youth Championships for the first time. The United States and Korea both were 2-0 winners Thursday in the semifinals. 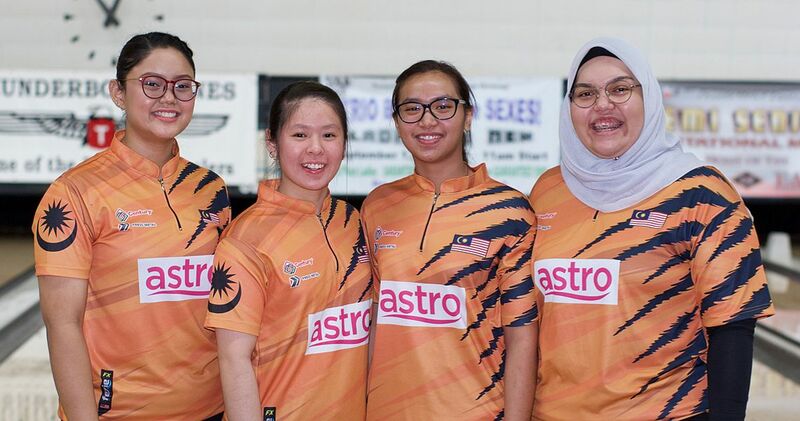 Korea, the top seed after six games of qualifying, eased past Sweden (left), 255-212 and 243-216, while the United States downed Malaysia (right), 189-162 and 224-173. 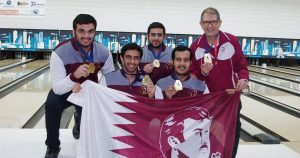 Qatar‘s return to the spotlight at the World Youth Championships also was a long time coming, with the country’s last team gold medal coming at the inaugural event in 1988. 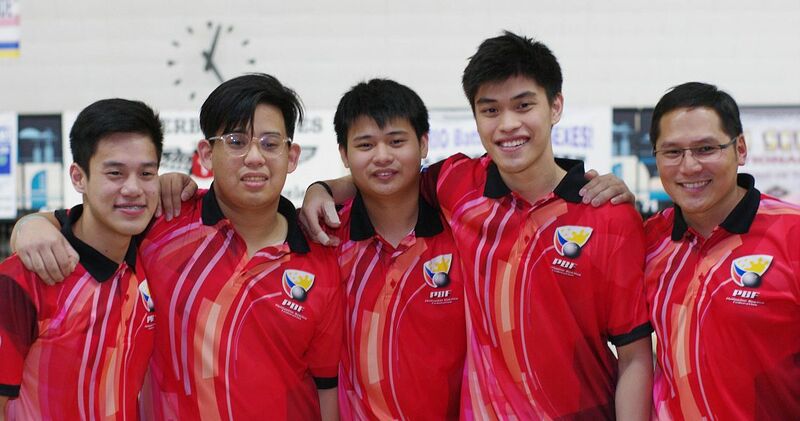 That tournament, known then as the International Youth Championships, was held in the Philippines, and Qatar’s road to the title Thursday also went through the Philippines. 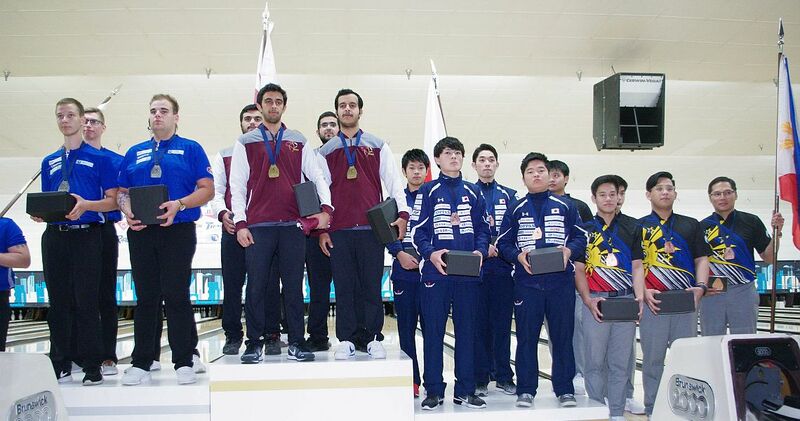 This time, Qatar defeated the Philippines (left), 2-1, in the semifinals to earn a place in the 2018 final against Finland, a 2-0 winner against top-seeded Japan (right). 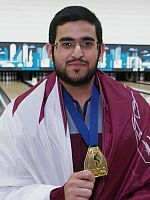 Led by this week’s boys all-events gold medalist Ghanim Aboujassoum, Qatar made light work of Finland, claiming the title with a 2-0 sweep by scores of 239-238 and 233-199. In the opening game of the title match, Finland (left) anchor and all-events bronze medalist, Niko Oksanen, struck on his fill ball to force Aboujassoum to throw three strikes in the final frame for the one-pin victory. Qatar’s only other gold medal prior to the 2018 event came in all-events in 1992. 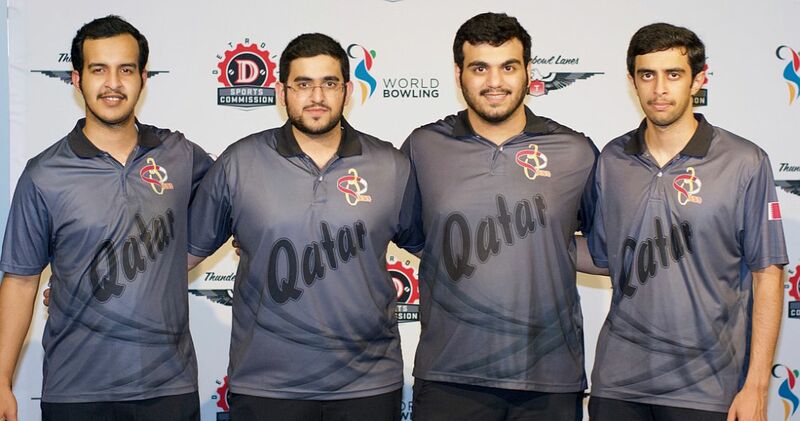 Qatar’s success at Thunderbowl Lanes means a lot for the future of the program. Aboujassoum’s individual success also showed Merani much about his anchor bowler’s resilience and strong mental game. 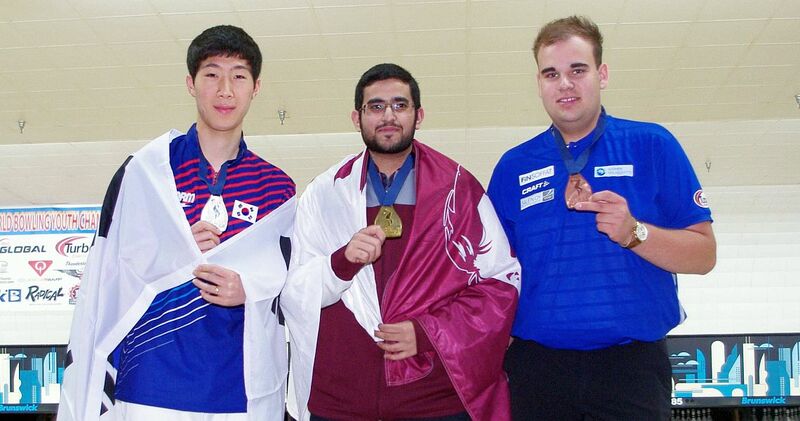 Aboujassoum (left) was frustrated after missing the cut to the singles medal round by one pin, but he maintained his focus and averaged more than 230 for 18 games to win all-events. 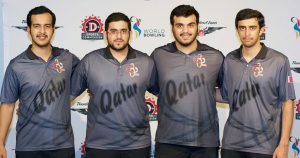 Aboujassoum was joined on the lanes by Jassem Al Deyab, Jassim Al Muraikhi and Mohammed Al Merekhi (right), the singles silver medalist in 2016. The top 24 boys and 24 girls in all-events advanced to Masters match play, which got underway Thursday afternoon. 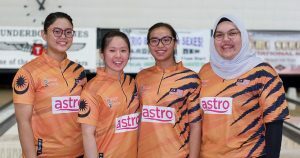 Competition will resume Friday at 9 a.m. Eastern, with the Masters semifinals scheduled to get underway at 10:15 a.m. EDT. 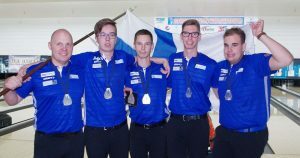 The World Youth Championships is held every two years, and the 2018 edition has brought 214 competitors from 37 countries to the Detroit area to bowl for medals in singles, doubles, team, all-events and Masters competition. Championship: USA def. Korea, 2-1 (180-205, 214-181, 230-175). From left: Han Jaehyeon, Ghanim Aboujassoum and Niko Oksanen. Players with position, country and 18-game pinfall total. Top 24 advance to the Masters finals, top 8 receive a first-round bye. 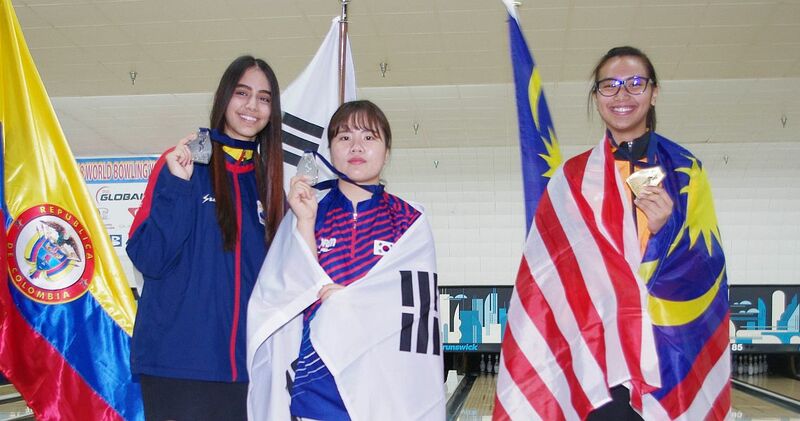 From left: Juliana Botero, Hong Sunhwa and Sahar Nur Syazwani.